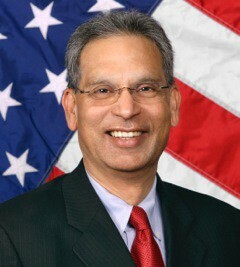 Indian-American Harish Jajoo, a City Councilman in Texas, is seeking re-election for the post for a fourth term. Jajoo, who lost out in his quest to become the mayor of Sugar Land city to Joe Zimmerman last year, pledged to the city’s residents to remain an independent voice for the Indian-Americans there, community newspaper India West reported. “I have lived in Sugar Land for 32 years. It is where I raised my family, built my life and came to admire its people and to value their friendship,” Jajoo said in a statement on Jan. 11. “As a member of city council, I have always worked to be a clear voice for conservative principles and fiscal responsibility,” he added. Jajoo, a licensed professional engineer and small business owner, has served on the city council since 2011. During his time in office, the Indian American worked on lowering property taxes, restraining spending and improving public services. He also spearheaded efforts to promote planned growth, upgrade public safety services, rehabilitate streets and sidewalks — all while holding down taxes, said the report. Jajoo was among members who worked to raise the city’s homestead exemption tax rate from 7 to 10 per cent, saving homeowners thousands of dollars. While on the council, Jajoo was elected President of the Texas Association of Mayors, Council Members and Commissioners. He also serves on the board of the Texas Municipal League.